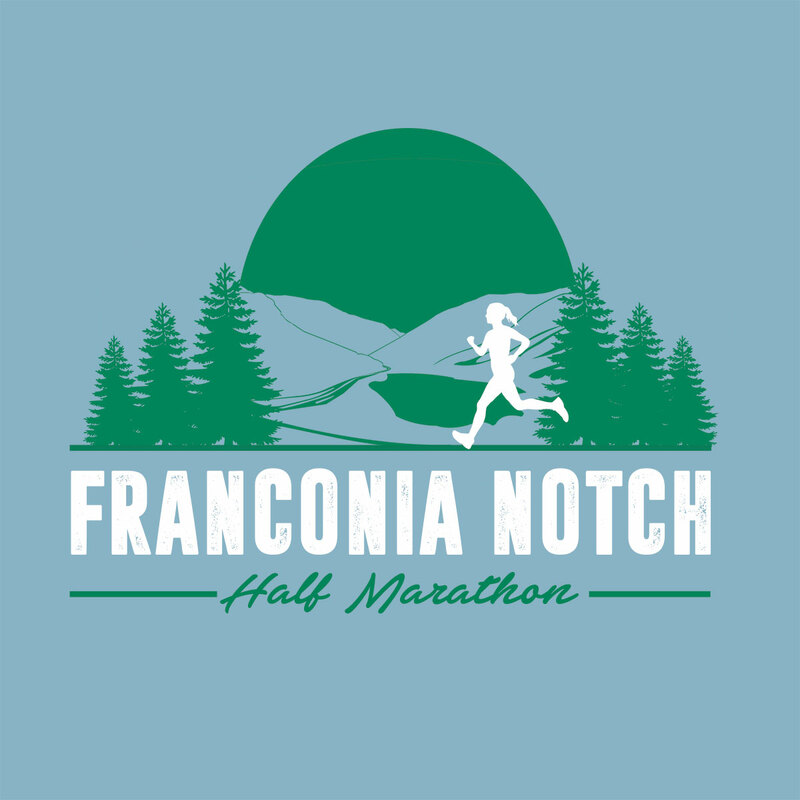 Be a part of the 2nd annual, gorgeous, rolling out and back run on the iconic (paved) Franconia Notch recreational path. 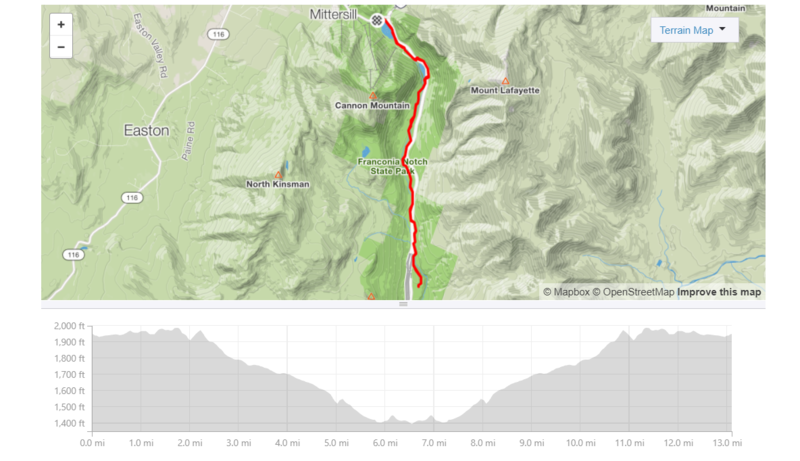 Running along side Echo Lake, the Old Man viewing sight, Cannon Mountain, Profile Lake, Boise Rock, Lafayette Camp Ground, the Basin, the Flume, and the Pemigewasset River. Encompassed by the beautiful fall foliage of New England. Join us for cookout after the race hosted on the decks of Cannon Mountain Peabody Lodge. Buy a meal ticket(s) in advance for yourself and family/friends who come to cheer you on. Hosted at Cannon Mountain. Main lodge facilities available. Start in parking lot below main lodge. Event t-shirt and finisher medal to every runner. Awards to the top 3 male and female overall finishers, and to each decided age category. Top Three Men and Women Overall: 1st - $500, 2nd - $250, 3rd - $100, all with prizes. WAIVER OF LIABILITY AND ASSUMPTION OF RISK For and in consideration of USA Track & Field, Inc., its affiliates, members, member clubs, associations, sport disciplines and divisions (“USATF”) allowing me, the undersigned, to participate in the USATF sanctioned event I am registering for herein (the “Event” or “Events”); I, for myself, and on behalf of my spouse, children, guardians, heirs and next of kin, and any legal and personal representatives, executors, administrators, successors and assigns, hereby agree to and make the following contractual representations pursuant to this Waiver and Release of Liability, Assumption of Risk and Indemnity Agreement (the “Agreement”). 1. I hereby represent that (i) I am at least eighteen (18) years of age or older (or that this document is also agreed to by my parent or legal guardian); and (ii) I am in good health and in proper physical condition to participate in the Event. I agree that it is my sole responsibility to determine whether I am sufficiently fit and healthy enough to participate in the Event, that I am responsible for my own safety and well-being at all times and under all circumstances while at the Event site. 2. I understand and acknowledge that participation in track & field, road running, race walking, cross country, mountain, ultra, and trail running Events is inherently dangerous and represents an extreme test of a person’s physical and mental limits. I understand and acknowledge the risks and dangers associated with participation in the Event and sport of track & field and related activities, including without limitation, the potential for serious bodily injury, sickness and disease, permanent disability, paralysis and loss of life; loss of or damage to equipment/property; exposure to extreme conditions and circumstances; contact with other participants, spectators, animals or other natural or manmade objects; dangers arising from adverse weather conditions; imperfect course or track conditions; land, water and surface hazards; equipment failure; inadequate safety measures; participants of varying skill levels; situations beyond the immediate control of the Event Organizers (as defined below); and other undefined, not readily foreseeable and presently unknown risks and dangers (“Risks”). I understand that these Risks may be caused in whole or in part by my own actions or inactions, the actions or inactions of others participating in the Event, or the negligent acts or omissions of the Released Parties defined below, and I hereby expressly assume all such Risks and responsibility for any damages, liabilities, losses or expenses which I incur as a result of my participation in any Event. 3. I agree to be familiar with and to abide by all the rules and regulations established for the Event, including but not limited to any Competition Rules adopted by USATF, any anti-doping rules as established by the appropriate entity, and any safety regulations established for the benefit of all participants. I accept sole responsibility for my own conduct and actions while participating in the Event, and the condition and adequacy of my equipment. 4. I hereby Release, Waive and Covenant Not to Sue, and further agree to Indemnify, Defend and Hold Harmless USATF, and, if applicable, the following parties: United States Olympic Committee (USOC); the event directors, organizers and promoters, sponsors, advertisers, coaches and officials; the local organizing committee and the facility, venue and property owners or operators upon which the Event takes place; law enforcement agencies and other public entities providing support for the Event; and each of their respective parent, subsidiary and affiliated companies, officers, directors, partners, shareholders, members, agents, employees and volunteers (Individually and Collectively, the “Released Parties” or “Event Organizers”), with respect to any liability, claim(s), demand(s), cause(s) of action, damage(s), loss or expense (including court costs and reasonable attorneys’ fees) of any kind or nature (“Liability”) which may arise out of, result from, or relate in any way to my participation in the Event, including claims for Liability caused in whole or in part by the negligent acts or omissions of the Released Parties. I further agree that if, despite this Agreement, I, or anyone on my behalf, makes a claim for Liability against any of the Released Parties, I will indemnify, defend and hold harmless each of the Released Parties from any such Liabilities which any may be incurred as the result of such claim. 5. I hereby warrant that I (or my parent, natural guardian, or legal guardian, if I am under the age of 18) am of legal age and competent to enter into this Agreement, that I have read this Agreement carefully, understand its terms and conditions, acknowledge that I will be giving up substantial legal rights by accepting it (including the rights of my spouse, children, guardians, heirs and next of kin, and any legal and personal representatives, executors, administrators, successors and assigns), acknowledge that I have accepted this Agreement without any inducement, assurance or guarantee, and intend for my acceptance to serve as confirmation of my complete and unconditional acceptance of the terms, conditions and provisions of this Agreement. This Agreement represents the complete understanding between the parties regarding these issues and no oral representations, statements or inducements have been made apart from this Agreement. If any provision of this Agreement is held to be unlawful, void, or for any reason unenforceable, then that provision shall be deemed severable from this Agreement and shall not affect the validity and enforceability of any remaining provisions. 6. As a condition of my participation in the Event, I hereby grant USA Track & Field, Inc. a limited license to use my name, likeness, image, photograph, voice, video, athletic performance, biographical and other information (collectively, "Likeness"), in any media platform or format whatsoever, and to distribute, broadcast and exhibit these without charge, restriction or liability, but only for the purposes of advertising or promoting Event, USATF, or the sport of Athletics. The foregoing grant, however, does not constitute consent for USATF or any third party to use my Likeness in an endorsement of any product or service without my specific written consent. 7. I certify that the birth date and age information provided in my member profile and confirmed at the beginning of the entry process is true and accurate. 8. If the participant is under the age of 18, the parent, natural guardian, or legal guardian (the “Guardian”) hereby agrees to release and discharge USATF as follows: a. The Guardian acknowledges and understands that the Event is inherently dangerous and represents an extreme test of a person’s physical and mental limits. Further, the Guardian acknowledges and understands the Risks, as defined above. b. The Guardian acknowledges the rights waived by both the Guardian and the participant by accepting this Agreement. c. The Guardian acknowledges that the Guardian will indemnify the Released Parties from any and all Liability which may arise out of, result from, or relate in any way to the participant’s participation in the Event, including claims for Liability caused in whole or in part by the negligent acts or omissions of the Released Parties.